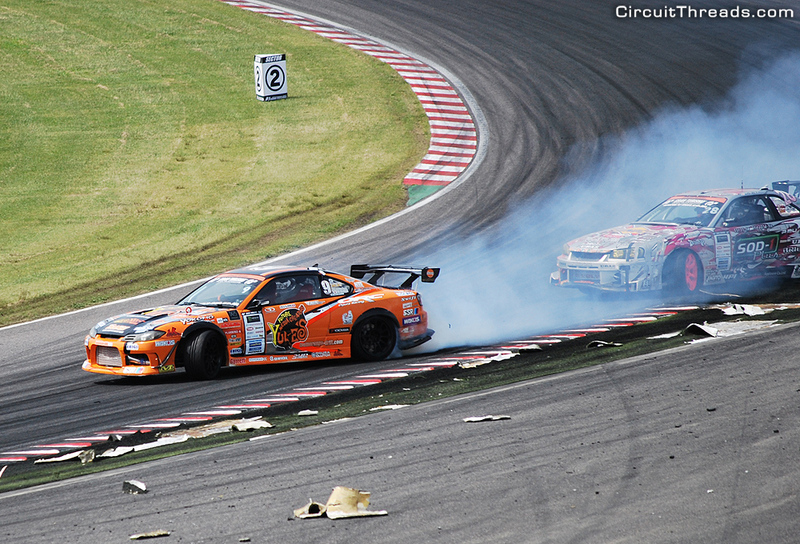 To be honest, its been a while since we’ve followed drifting at the professional level. With so many different championships running in Japan and around the globe it was hard to keep up with them all and our interest slowly dropped off. 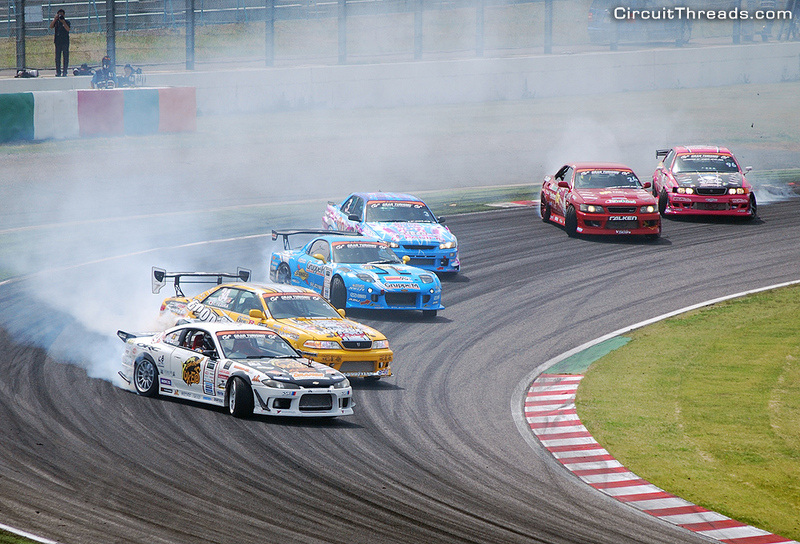 On our recent holiday to Japan, we wanted to change that and what better way to peak our interest again than to visit the Series that started professional drifting – the D1 Grand Prix. 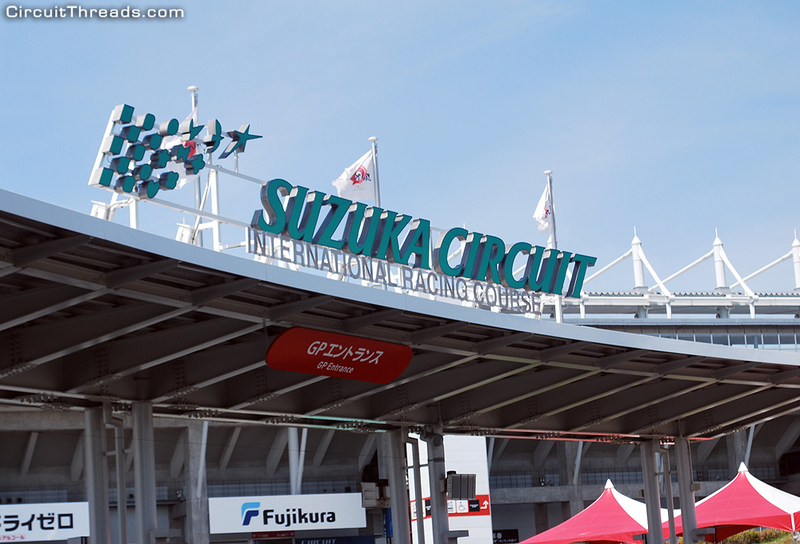 The 2nd Round of the 2015 D1GP Championship was held at Suzuka Circuit which is also home to Japan’s F1 Grand Prix. 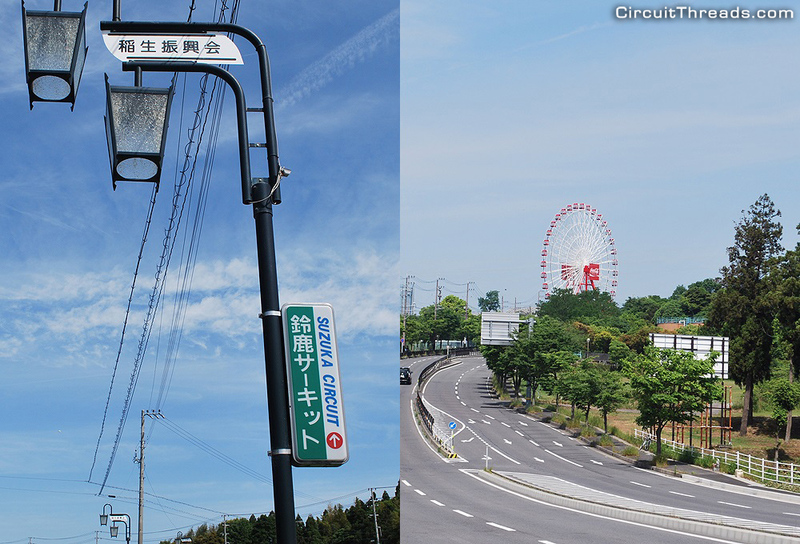 The circuit is located ~50kms away from the major city of Nagoya and we boarded the local train from Nagoya to the small Suzuka Circuit Ino station where we were told the track could be reached in a short 15min walk. We managed to locate a few signs pointing towards the circuit and knew we were going in the right direction once we spotted the famous ferris wheel that overlooks the circuit! 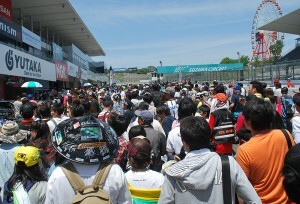 Suzuka Circuit was packed with spectators and the pit lane was overflowing with people. 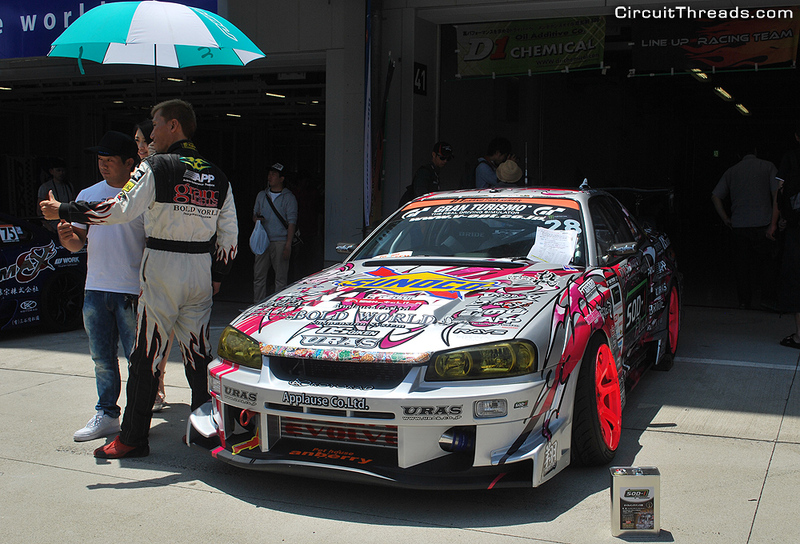 Popular drivers like Ueno were constantly swamped with fans getting autographs and taking a closer look at the D1 machines. 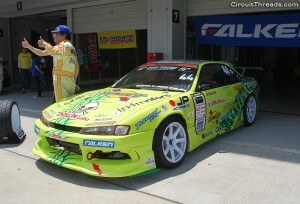 For drift cars, they were all immaculately presented like the DMAX s15 driven by Seimi Tanaka. 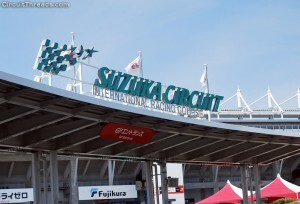 Seimi was placed third on the Championship heading into the Suzuka round. 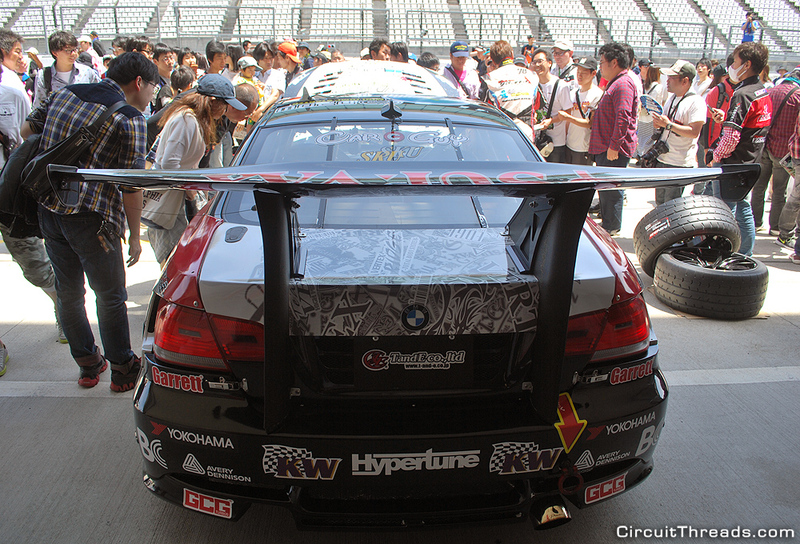 But it was Chucky Bai’s Origin Labo 180x which really stood out with its silver carbon body! 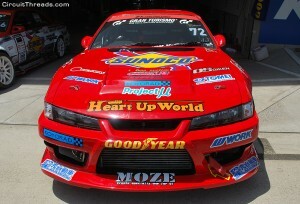 It was great to see the 180sx still fitted with a SR20 engine too, which is now 2.2L and producing upwards of 750PS! 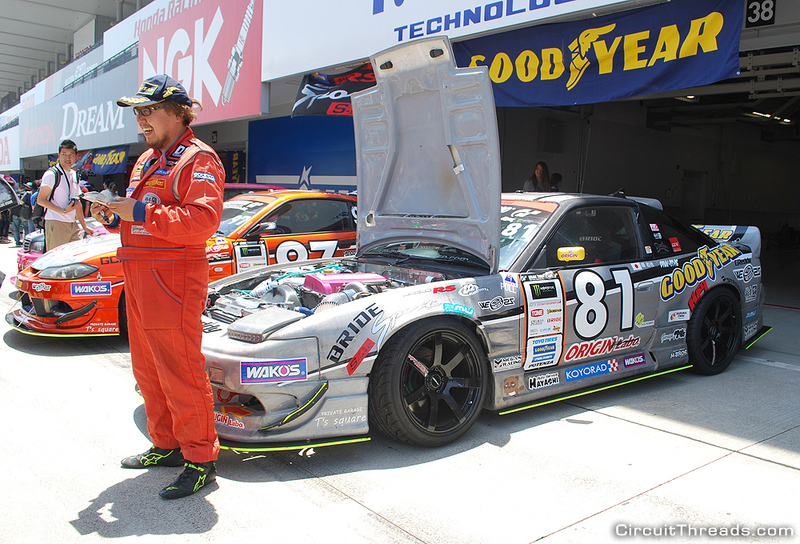 Speedhunters did an awesome showcase of Chunky’s 180sx. Can’t talk about the big JDM brands without mentioning Rocket Bunny. 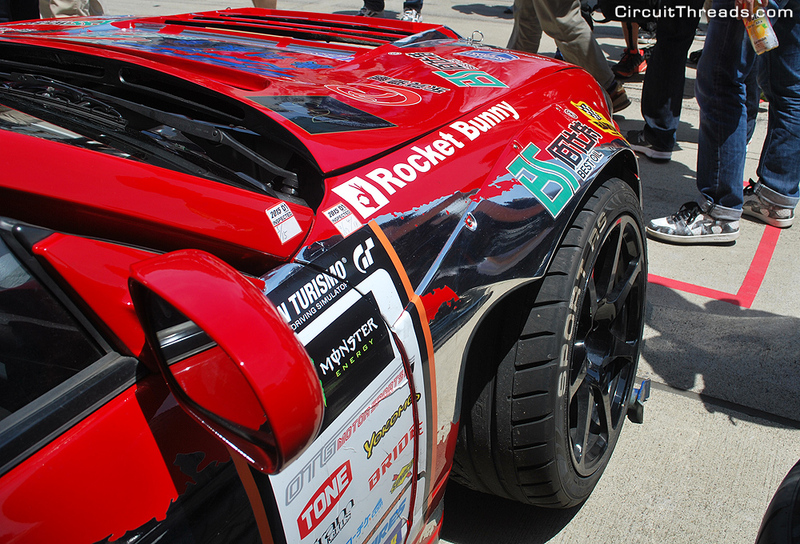 This was our first look at a Rocket Bunny s15 and we have to admit it looked pretty damn good! 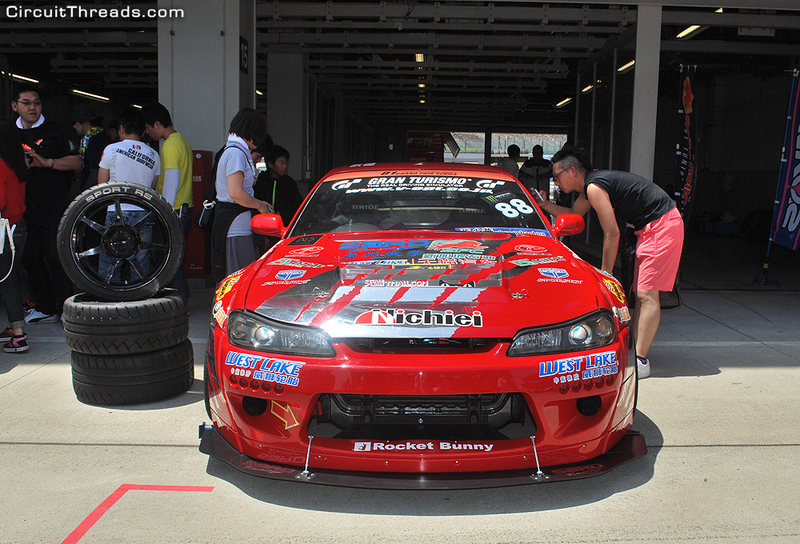 The S-Chassis continues to remain popular and feature heavily at the pointy end of drift competitions. 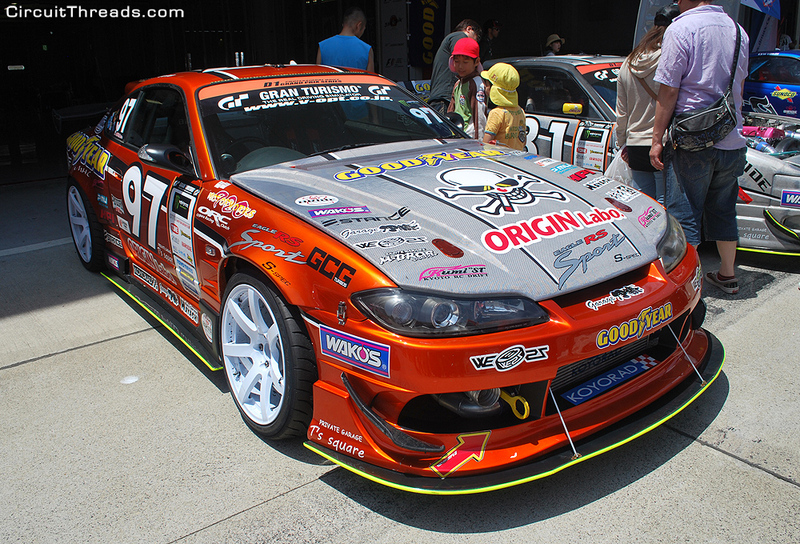 Akinori Utsumi’s s15 looked great with the cream paintwork and blue highlights. 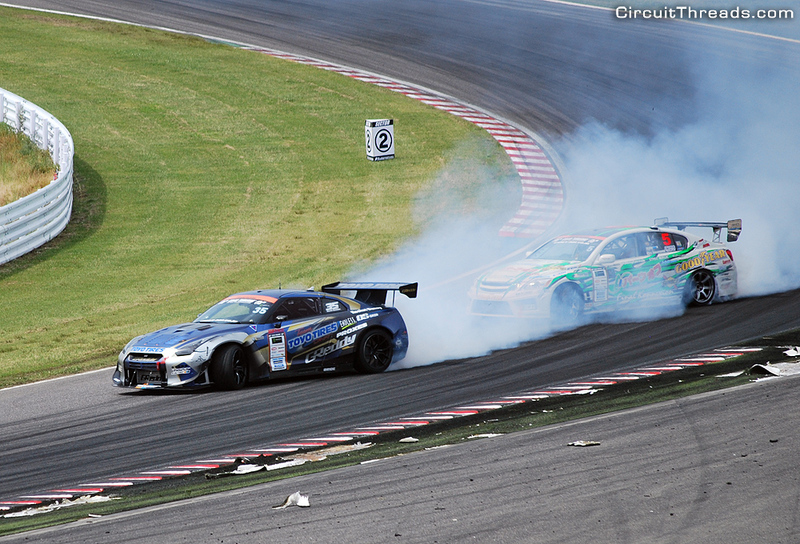 While the older s14 also held their own with a couple of nice Koukis. Another Nissan in the mix was the Team Lineup R34. We saw this at WTAC ripping up Sydney Motorsport Park a couple of years ago but it was good to see it in its home country. 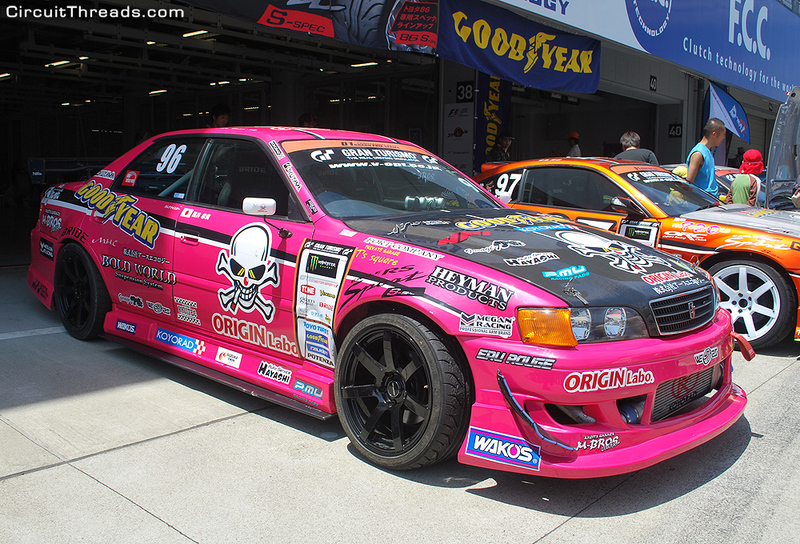 The URAS aero gives this car such an aggressive look! 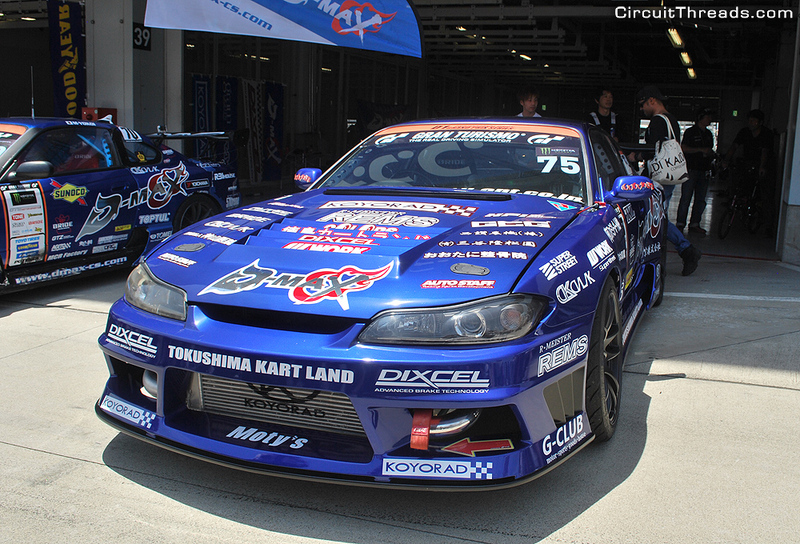 While Nissan dominated the pits, there’s nothing cooler than a big 4 door Toyota drifter! While it was all hustle and bustle down pitlane, The ‘Emperor’ Koguchi couldn’t be more relaxed sitting in pit lane with no socks on! Haha. 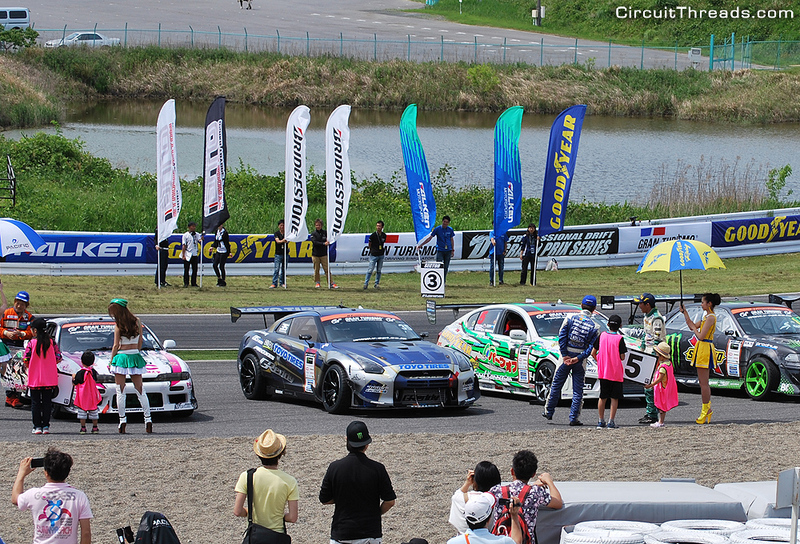 The drifting action kicked off soon after the pit walk with the drivers warming up with 5-6 car demo runs!! This was followed by the obligatory driver’s introduction and photos. 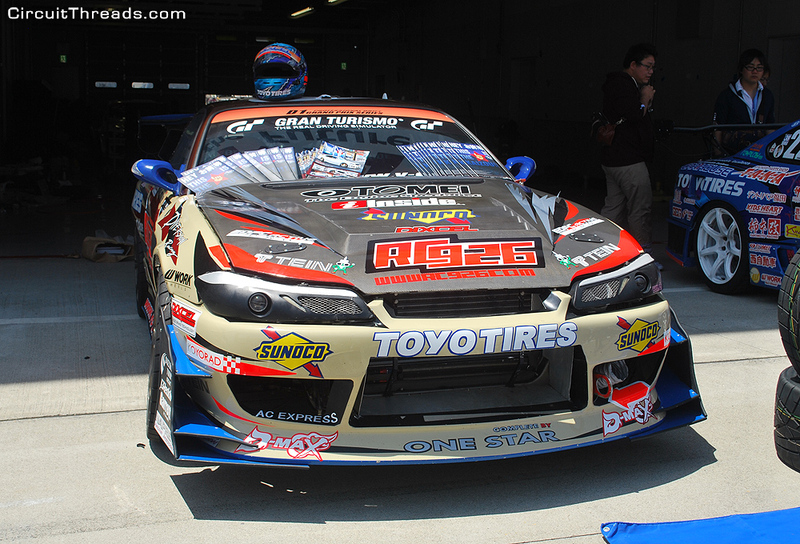 Kawabata’s Toyo Tyres/Trust Racing R35 was currently leading the championship. Seeing an R35 in full drift was awesome! The front straight leading to turn 1 is downhill creating entries well above 220km/hr!! 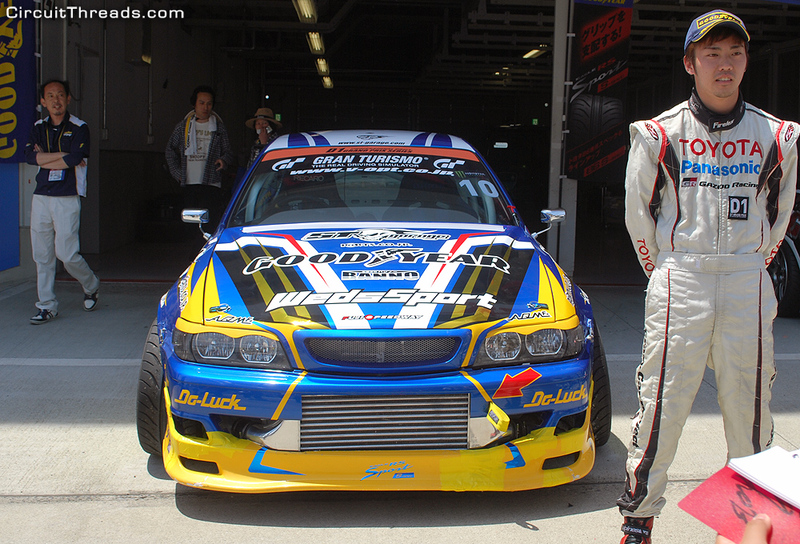 Daigo Saito recorded the top speed for the weekend reaching a top of 234km/hr! The high speed produced plenty of smoke and a lot of times visibility was limited due to the huge plumes of smoke left behind. and plenty of body parts were littered around the edge of the track as cars traded paintwork. The tyre smoking continued on the exit of the final corner. Chunky’s 180sx had no problems frying tyres. 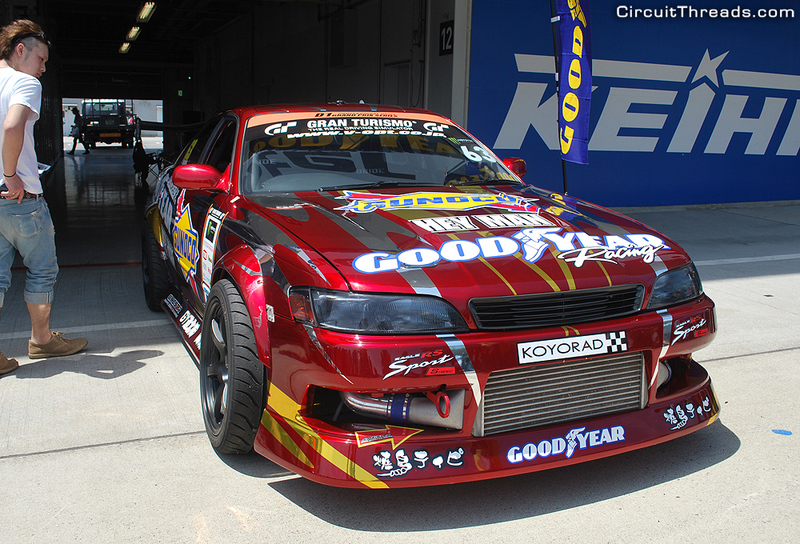 The larger chassis like the Team Mori/Goodyear GS350 looked right at home at Sukuza and were winners in the smoking department! While it was strange to see Koguchi not piloting a 180sx, the DRoo-P 86 looked pretty cool tearing up the track and leaving a white cloud behind. 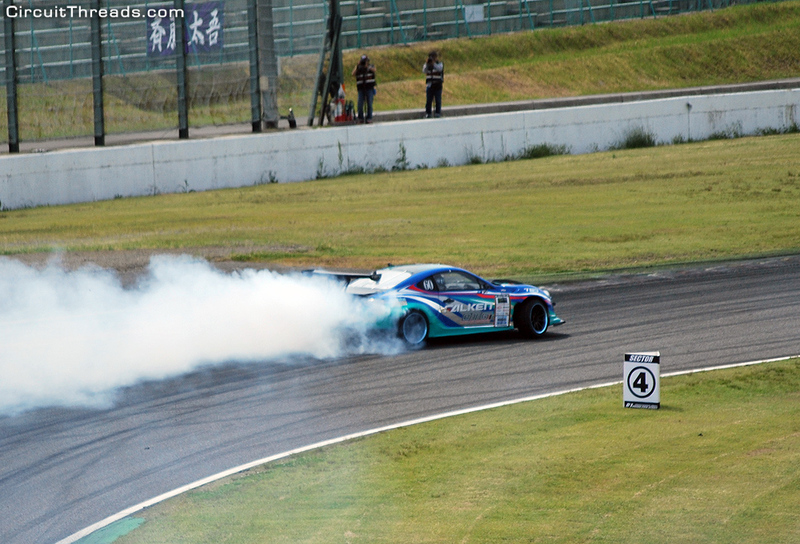 While Yoichi Immamura in the V8 swapped OTG Motor Sports Toyota 86 recorded the highest qualifying score of 99.44, the eventual Tsuiso winner was Daigo Saito over Kawabata. The high speed entries, smoke and noise of D1 has definitely given us the drift bug again! That’s not all from Suzuka though and next post we’ll upload pics of the awesome cars spotted in Sponsor’s paddock!